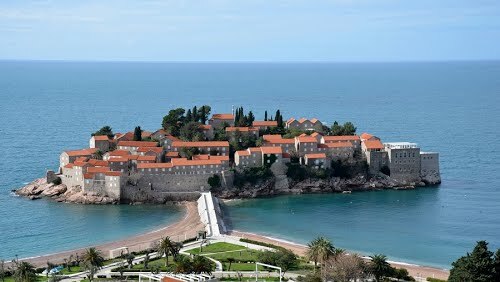 Sveti Stefan, now Aman Sveti Stefan including the Villa Milocer, is a small islet and hotel resort in Montenegro, approximately 6 kilometres southeast of Budva. 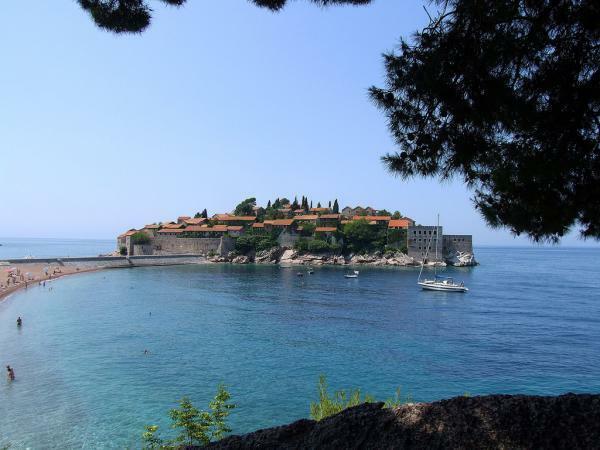 The resort includes the islet of Sveti Stefan and part of the mainland, where the Villa Milocer part of the resort is located. 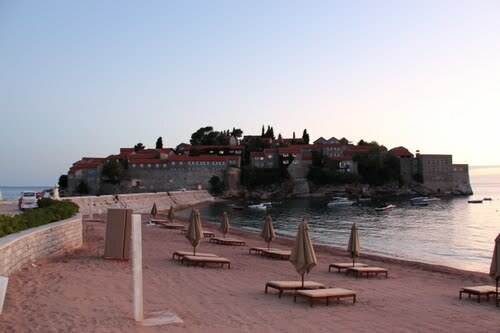 An Adriatic playground for the rich and famous from the 1960s to the 1980s, the hotel is now a 5-star franchise hotel of the international group of Aman Resorts, completed in 2009 and operating under a 30-year lease. 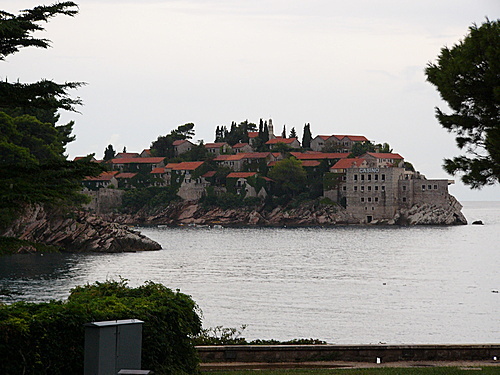 Formerly an island, Sveti Stefan is now connected to the mainland by a narrow isthmus. 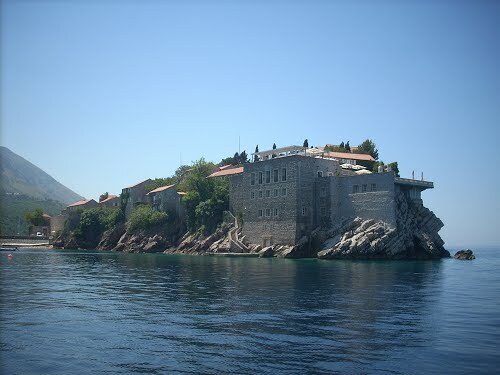 The resort in total contains 50 rooms, cottages and suites on the island and 8 grand suites at the Villa Milocer. 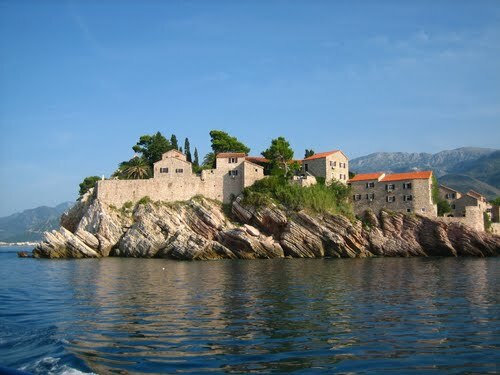 The island has a 2 kilometres coast line in the central part of Montenegro Adriatic coast line. 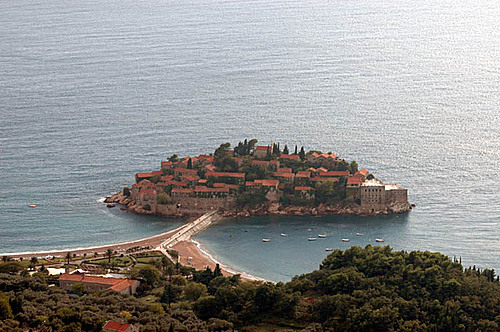 It is situated to the south of Budva between Przno and Sveti Stefan villages. 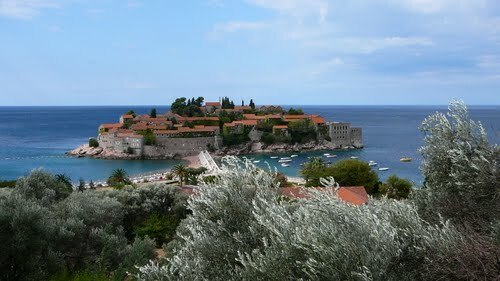 The pink sandy beaches of Sveti Stefan, Milocer Beach and Queen’s Beach are part of the coast line. 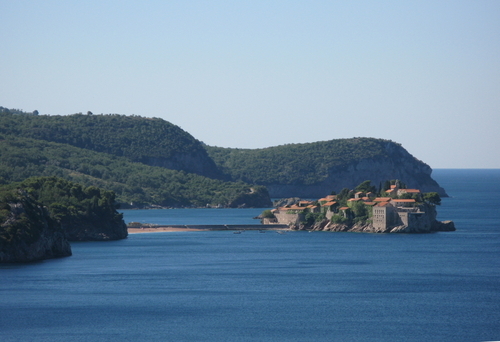 The island encompasses an area of 12,400 square metres. 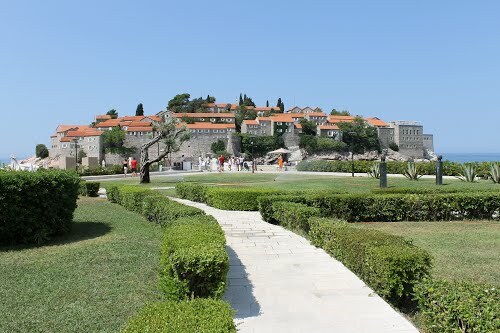 Formerly a village, all of the buildings were acquired by the Yugoslav government and turned into an upscale hotel during the Tito regime. 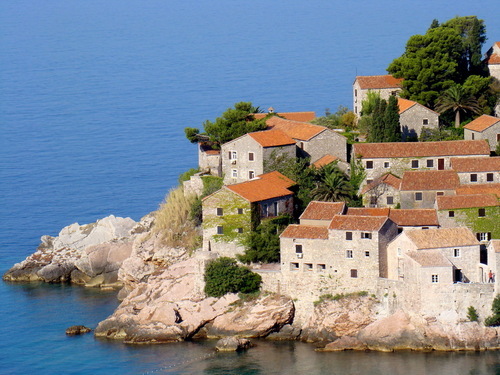 In the 15th century, the fortified village was built to defend against the Turks. 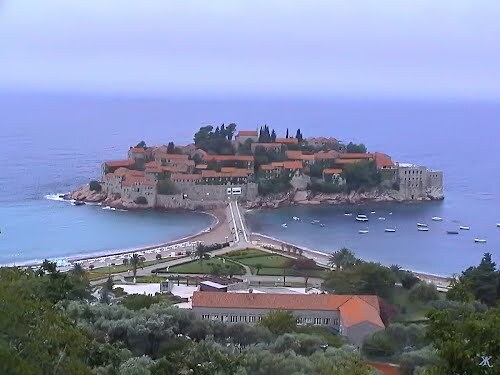 As free land, helped a Serbian King when he moved his court to Sveti Stefan. 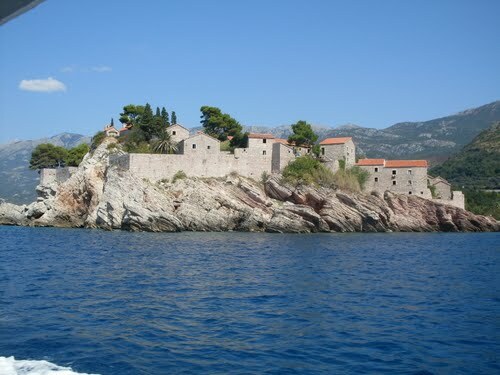 Initially, the island with its fortress had 12 families. 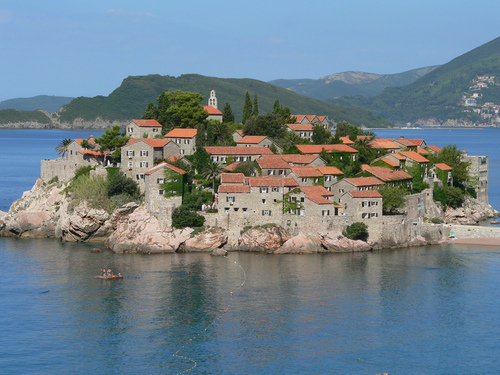 In the 1800s, a village came to be established on the island with a population of about 400 people. 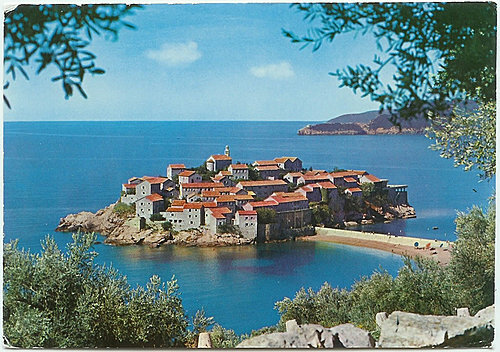 Villa Milocer built between 1934 and 1936 was the summer residence of Queen Marija Karadordevic of the Karadordevic family of Serbia, which was refurbished as part of the Aman Sveti Stefan resorts that opened in 2008–2009. 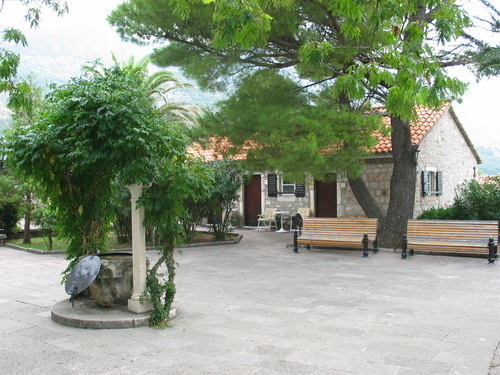 The villa, surrounded by 800 olive trees is laid out over a 32 hectares plot. 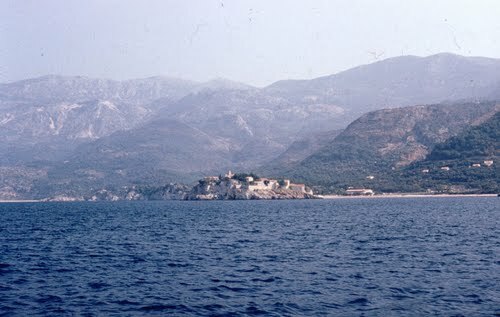 Subsequent to the villagers being moved to the mainland by the Tito regime, the island village became an exclusive resort frequented by high profile elites of the world. 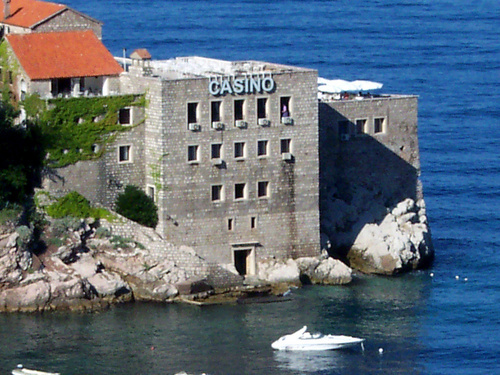 One of the four churches belong to Praskvica Monastery on Sveti Stefan was turned into a casino by the communists. 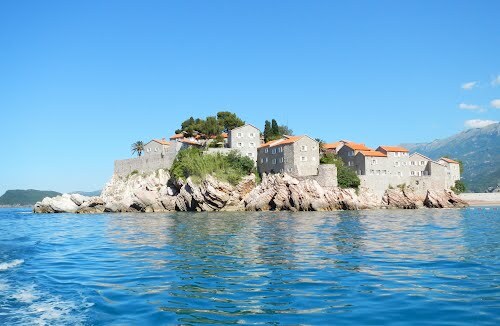 Formerly under the ownership of the Radenovic family for some forty years, between the 1960s and 1980s, the place was visited by many celebrities, including Orson Welles, Elizabeth Taylor, Sophia Loren, Arkan, Princess Margaret, Carlo Ponti, Ingemar Stenmark and Kirk Douglas. 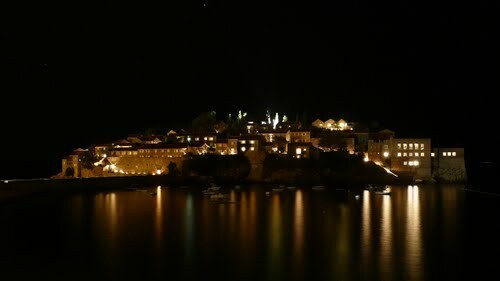 On 13 July 2010 Montenegrin Statehood Day, Italian tenor, Andrea Bocelli gave a concert at the resort, to mark the Golden Jubilee of the hotel. 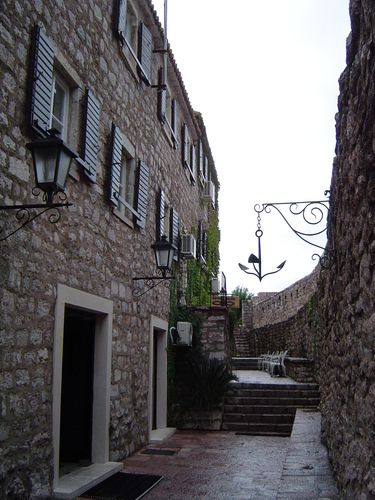 The hotel won the Hotel of the Year award from Gallivanter's Guide in 2010. 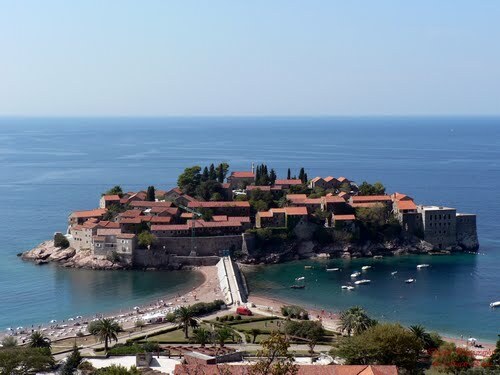 In July 2014, tennis champion Novak Djokovic married Jelena Ristic at Sveti Stefan. 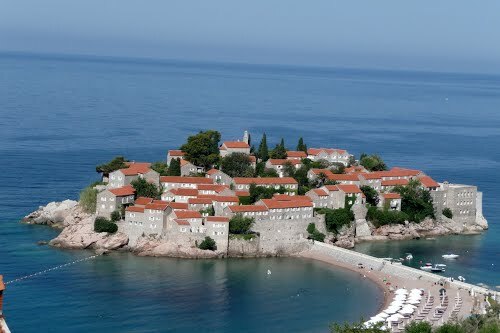 The Aman Sveti Stefan resort has 58 guest rooms, cottages and suites, including 8 suites that are part of the Villa Milocer. 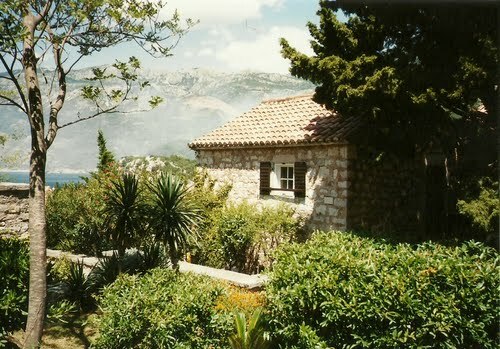 The Villa Milocer, which was built between 1934 and 1936 was the summer residence of Queen Marija Karadordevic (1900–1961). 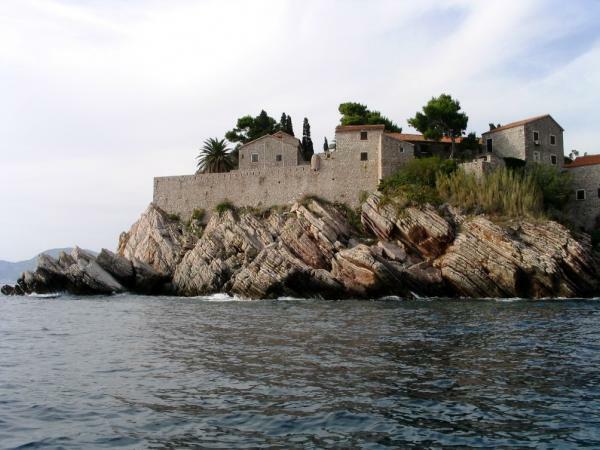 Out of the eight suites of Villa Milocer two are Queen Marija Suites forming an annex structure. Each of the two suites cover 125 square metres with a bedroom, bathroom, living room and dining room. These are grand suites which are larger, with Juliet balconies, and are decorated in cream and brown shades, with leather upholstery, silks and woollen rugs. 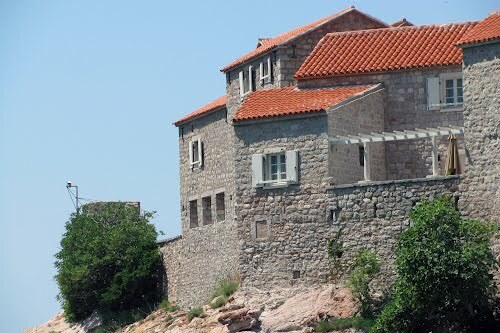 All other rooms are also elegantly decorated in a double storied layout providing views of the ocean from the first floor room; the living room and bedroom have fireplaces. 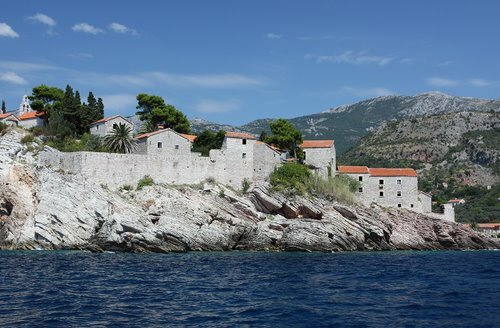 Every room, cottage and suite on the island is said to be different, but are all luxurious and retaining the ambiance of the historic village with preserving the original walls and using traditional doors and windows. The bathrooms of the suites contain free-standing bathtubs and parquet and antico stone floors. 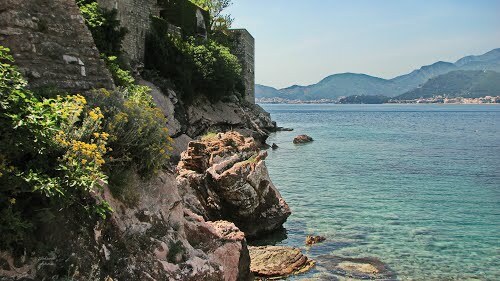 The Cliff Pool overlooks the Adriatic and another swimming pool and terrace is being built on the south side of the island. 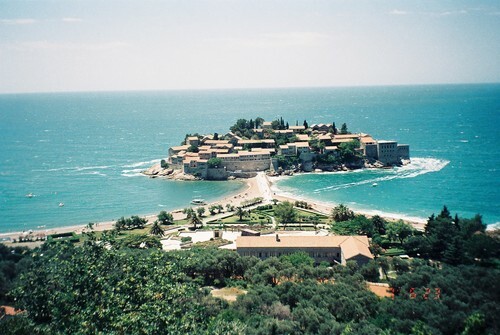 The main dining of the resort on the island of Sveti Stefan is The Piazza, an open-air square in the heart of the island’s village which includes the Taverna, Enoteca, Pasticceria, and an Antipasti Bar and a Cigar Room. The Taverna serves straightforward Continental and American breakfasts and fresh and pastoral Mediterranean dishes for lunch and dinner. 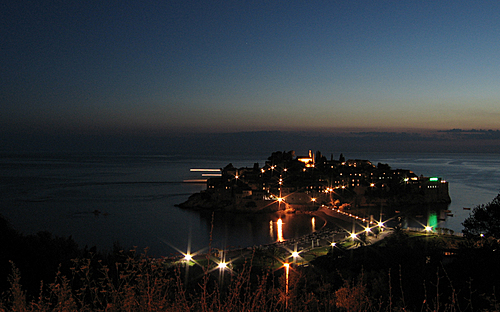 The Enoteca, is located on a terrace facing the sea with cellar-like interiors and sells al fresco tapas and drinks. The Pasticceria (bakery) serves traditional pastries for breakfast and lunch. The Antipasti Bar generally comes into use in early evenings and the Cigar Room, with rich wood and leather furnishings, serves selection of fine Cuban cigars and rare spirits. 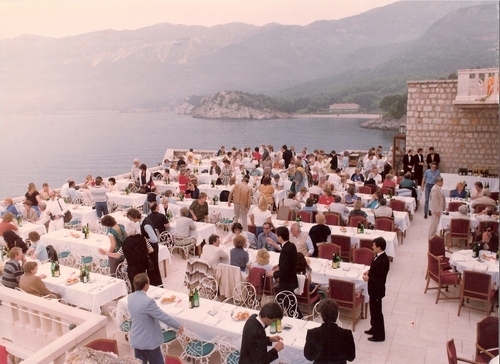 The three main dining venues on the mainland part of the resort are the Queen’s Chair, serving Pan-Adriatic – Italian cuisine and overlooking the Bay of Budva, the Olive Restaurant, overlooking the beach, which serves a range of cut-to-order meats and seafood prepared on two signature wood-fired grills and an olive-wood-fired rotisserie and the Beach Cafe, in an alfresco setting, flanked by shady cypress trees and century-old olive groves. Inside the Villa Milocer, the Dining Room, overlooking the Milocer Beach, with its seven-table dining space and grand open fireplace, is open for breakfast, lunch and dinner, as is the Loggia, with its colonnade, and the Living Room which serves locally caught seafood and produce.